Fine tonight with light winds. Sunny periods and some cloud tomorrow with moderate northeasterlies. Colder southerlies developing on Sunday with some rain from afternoon. Cloudy and cool on Monday with light winds. Cloudy tonight with moderate southwesterly winds. Cloudy with showers on Saturday; moderate northwesterly winds. 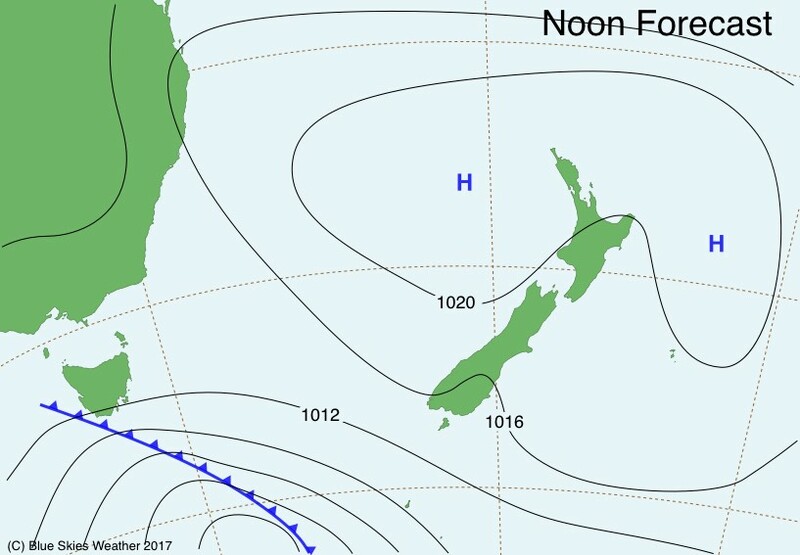 Showers on Sunday and Monday with fresh cool southwesterlies.